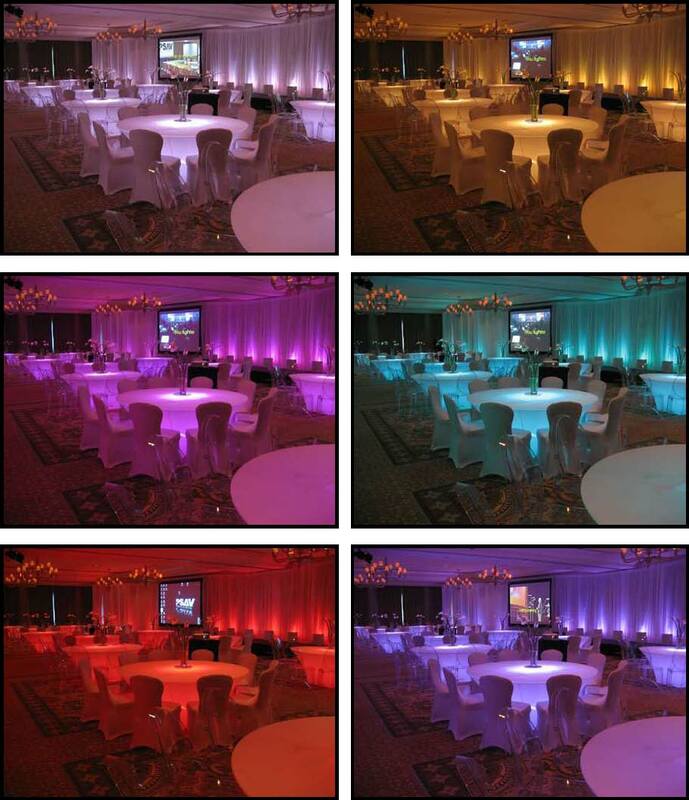 We offer several in-house audio system options. 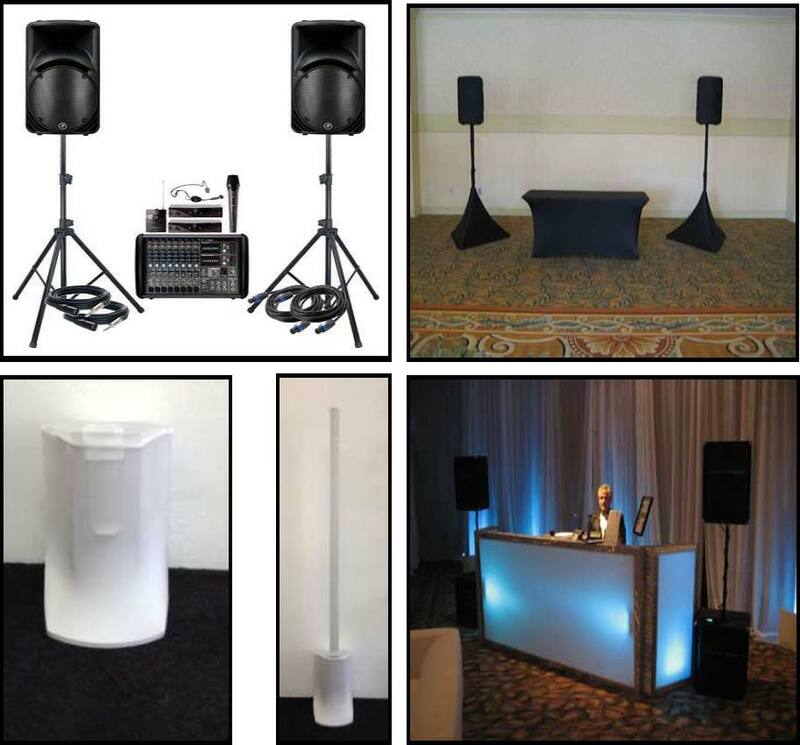 For simple audio, we have Mackie speakers with a PA system, wired and wireless microphones. 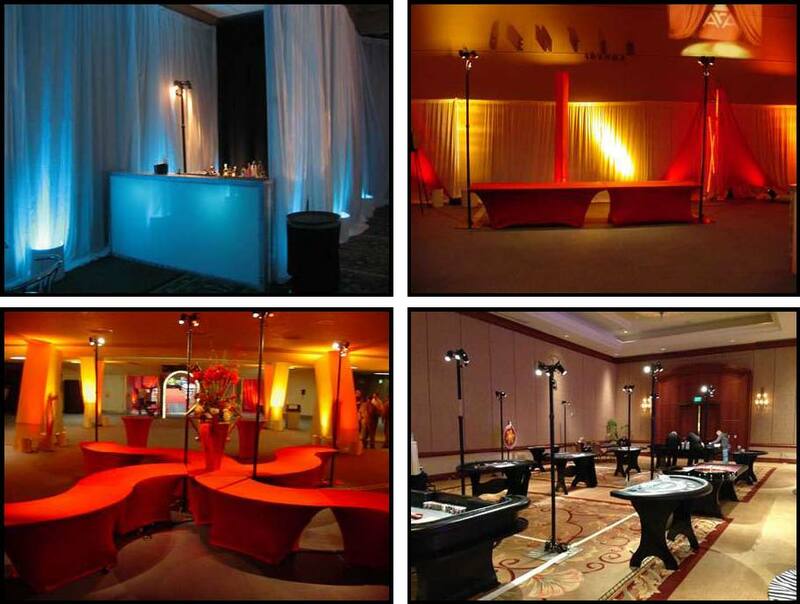 For hospitality suites we offer a simple Bose L1 Compact system with an iPod auxiliary jack and additional microphone jack. 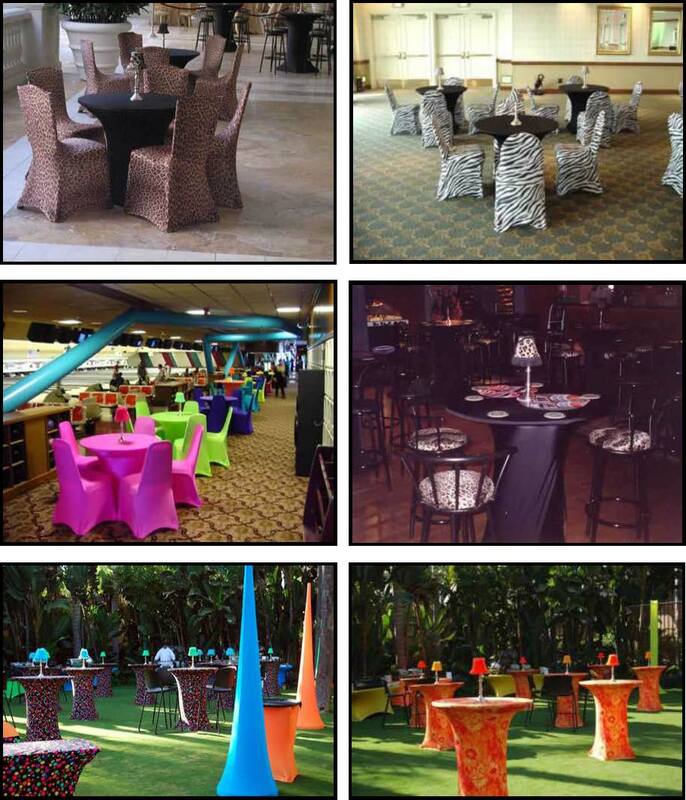 We offer a full Karaoke lounge experience. 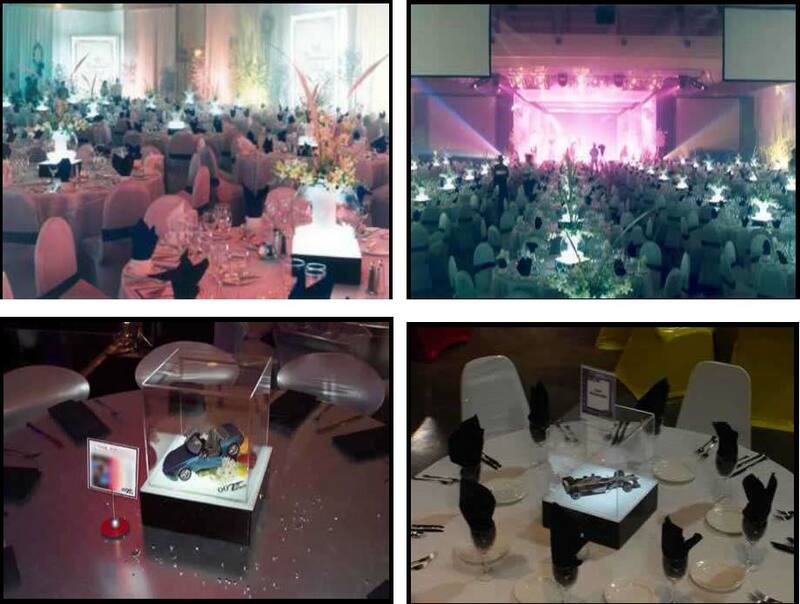 We have a complete sound system including multiple wireless microphone and LCD monitors for the singers and guests to enjoy. 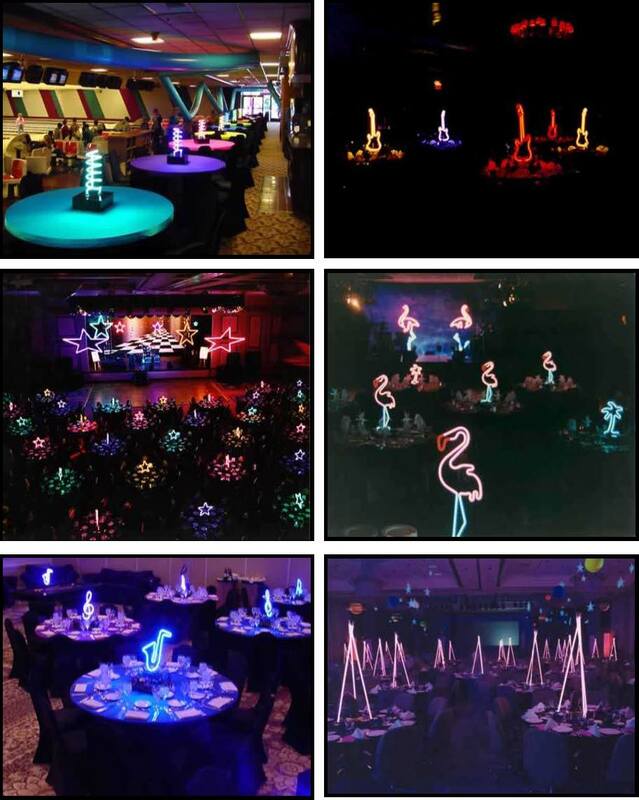 Our song selection has over 10,000 songs and includes printed songbooks and request forms. 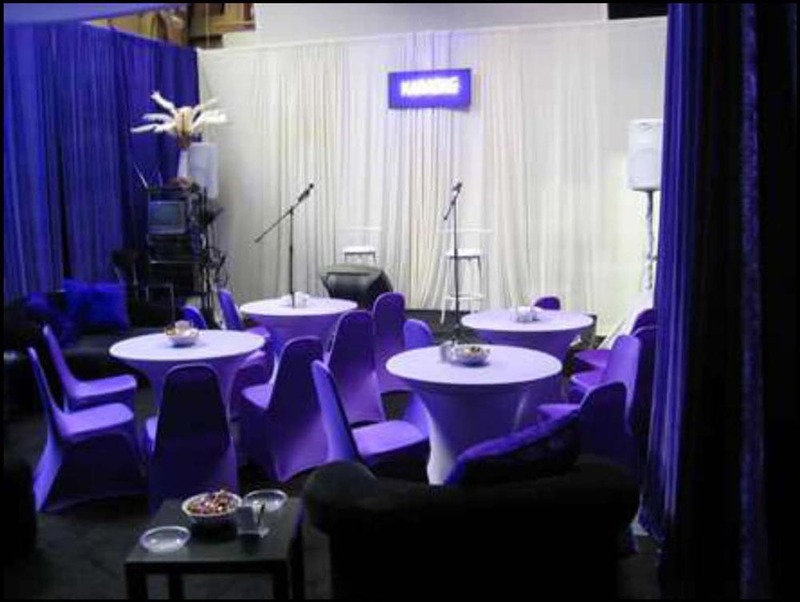 Our lounge setup includes back drape, a neon KARAOKE sign, and a combination of cocktail tables and chairs or loveseats with side tables. 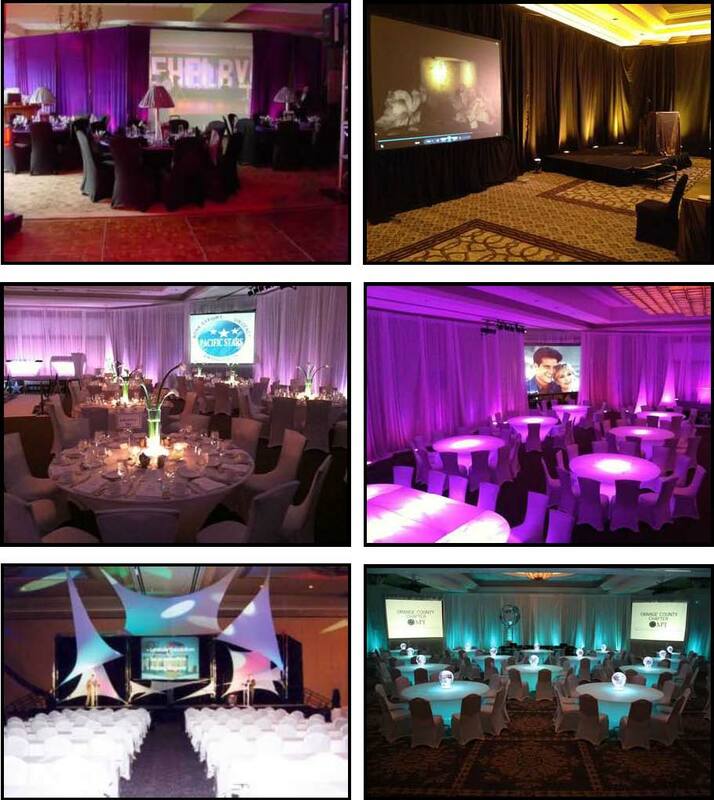 We have multiple screen options including; front projection, rear projection, and spandex panels to be used for projection surfaces. 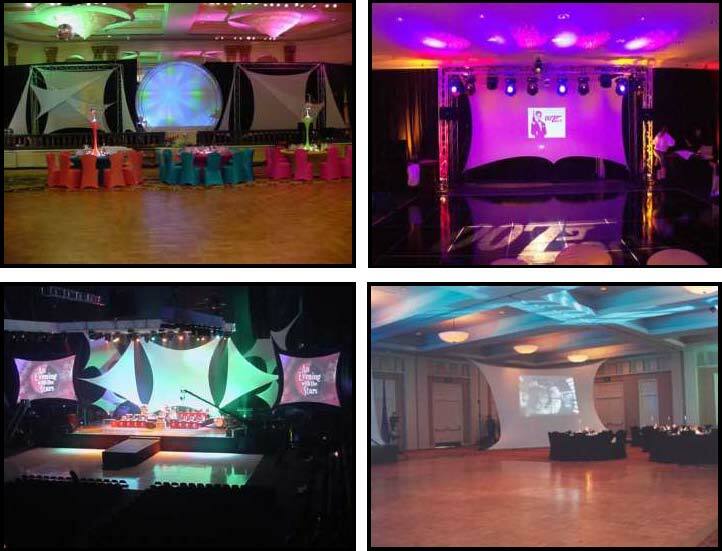 We also have LCD video projectors including ultra-short throw projectors that can be used for presentations or for projecting decorative elements. 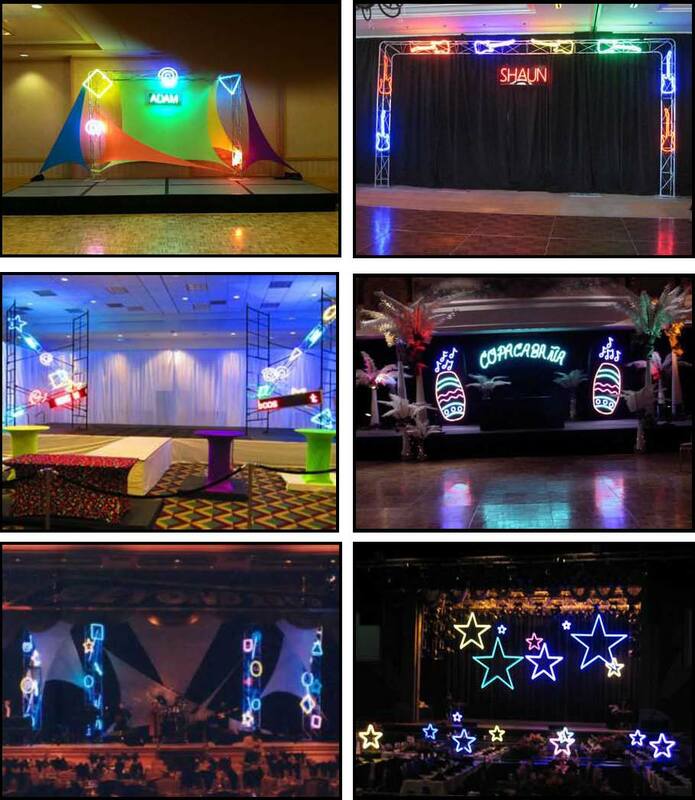 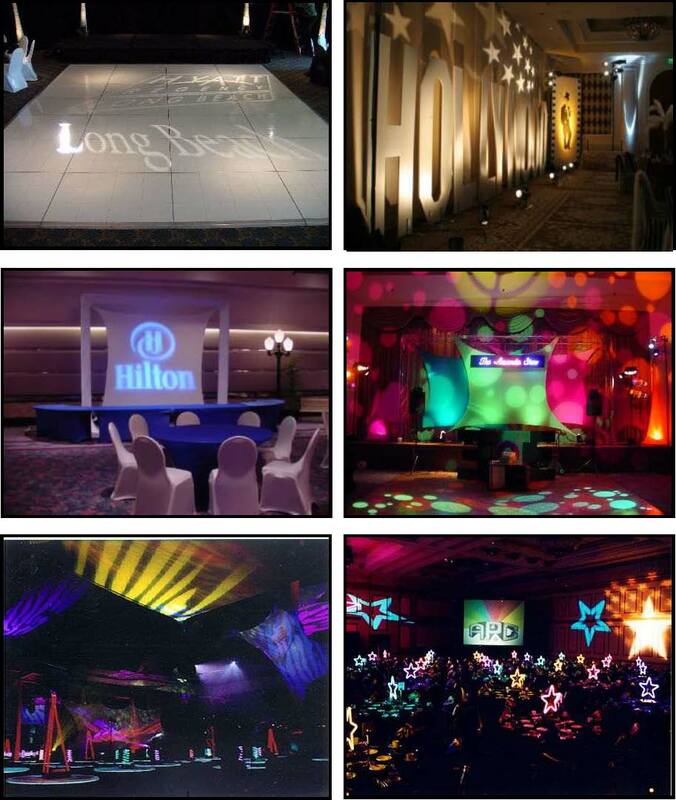 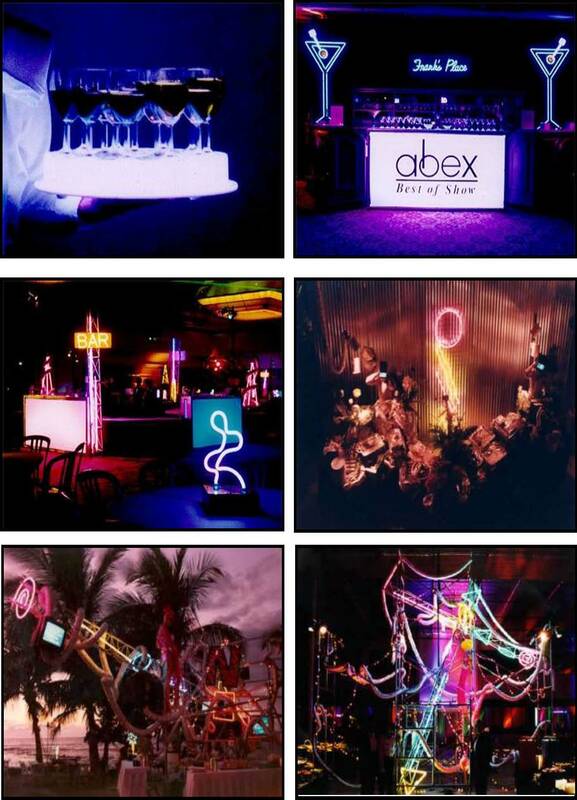 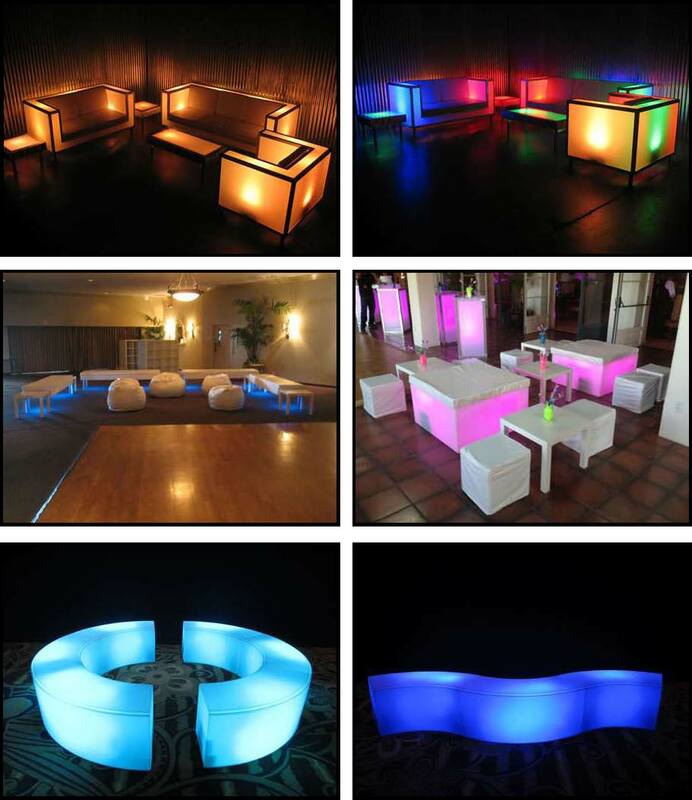 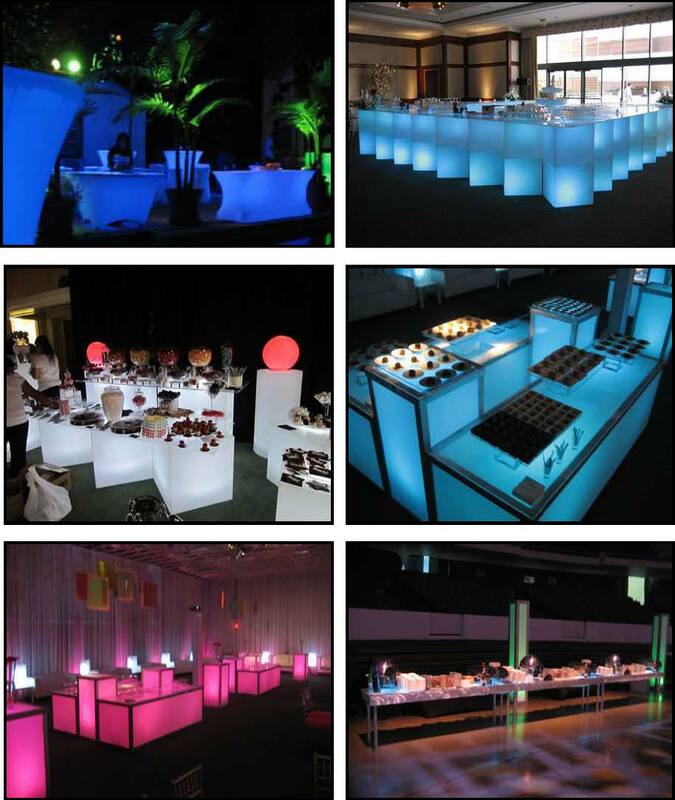 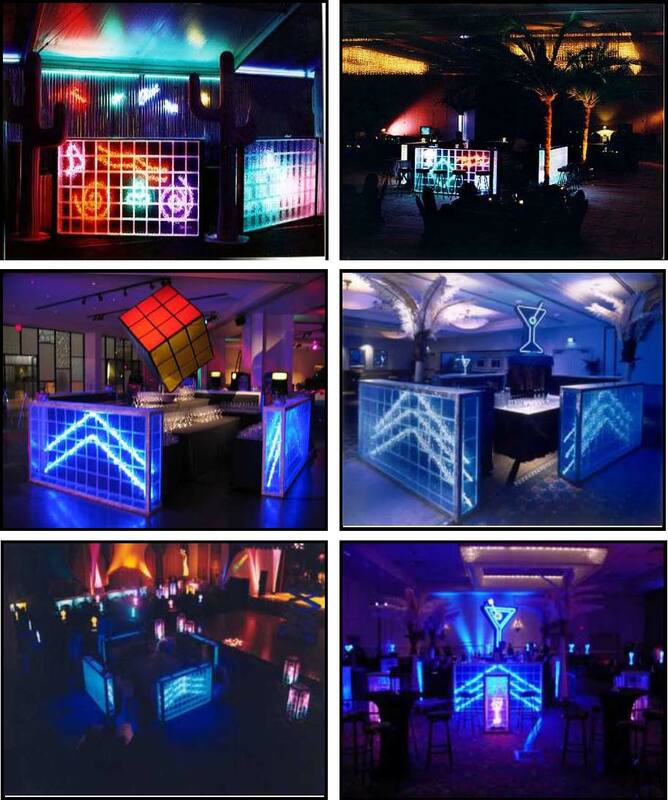 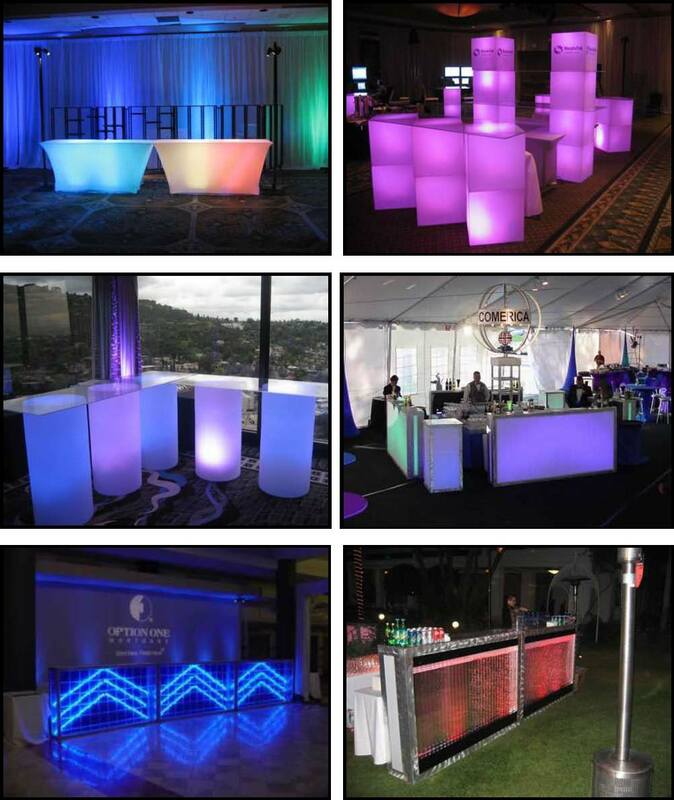 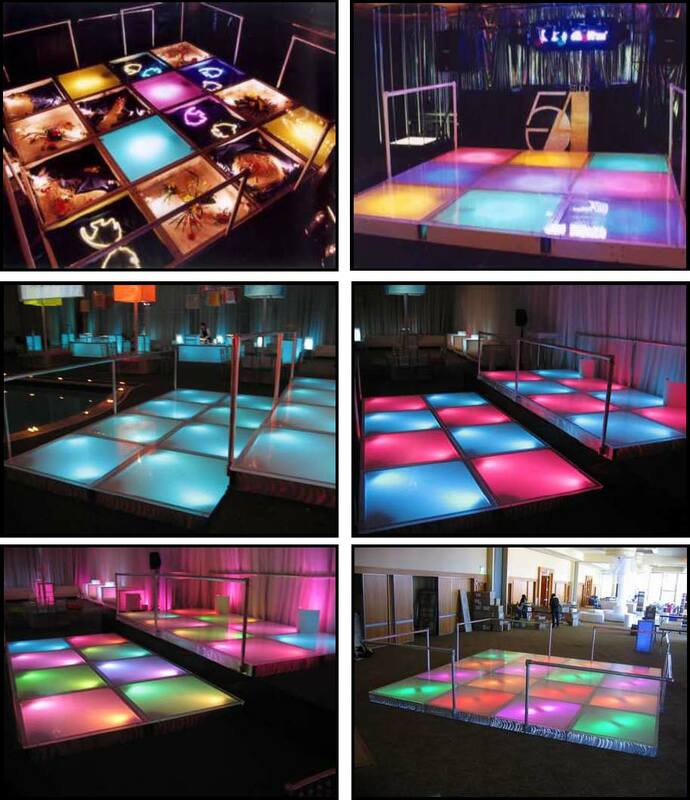 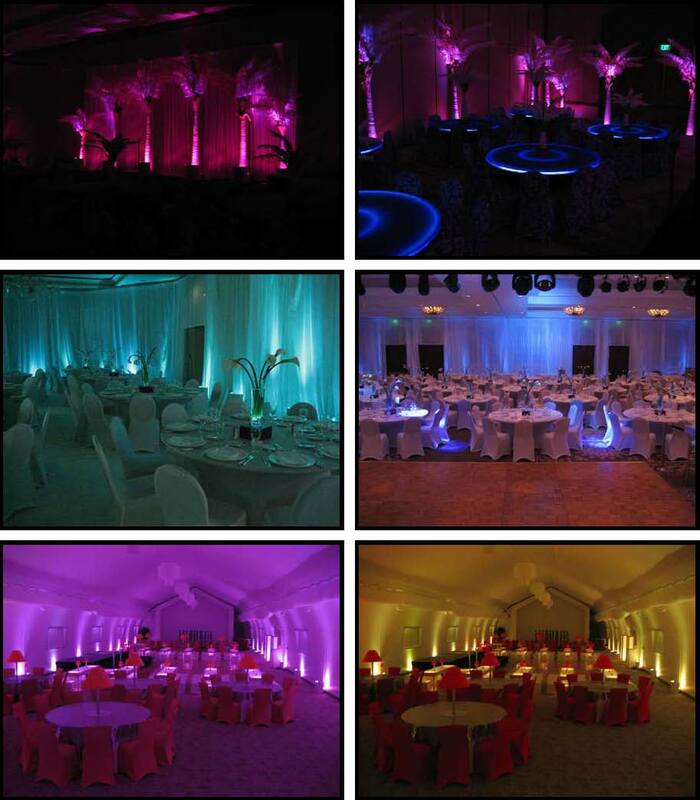 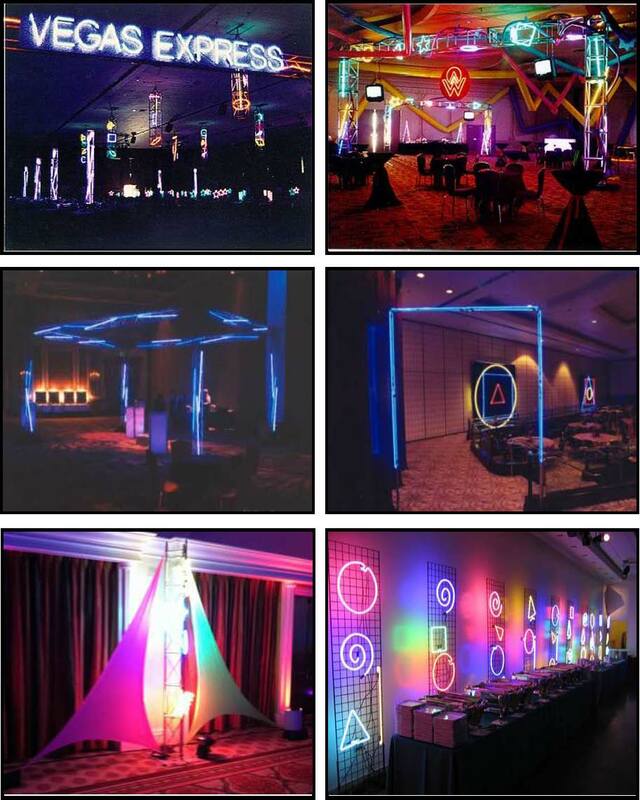 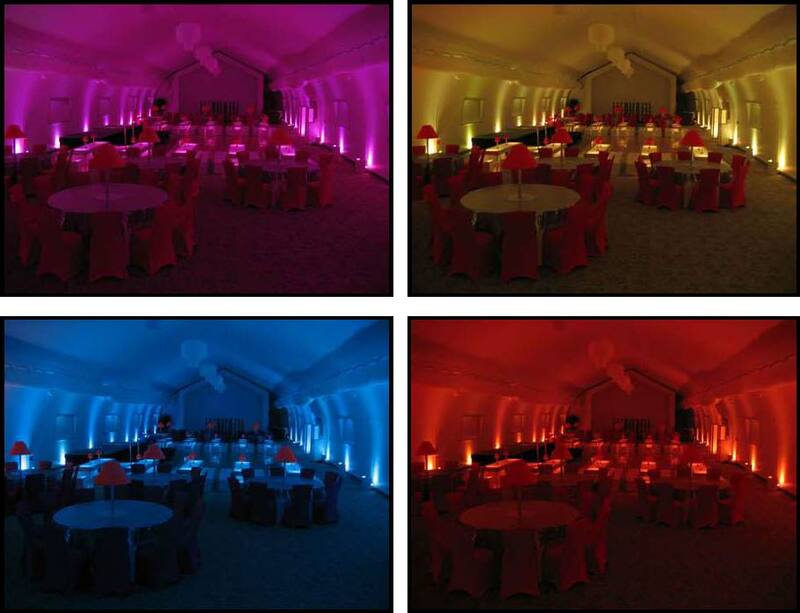 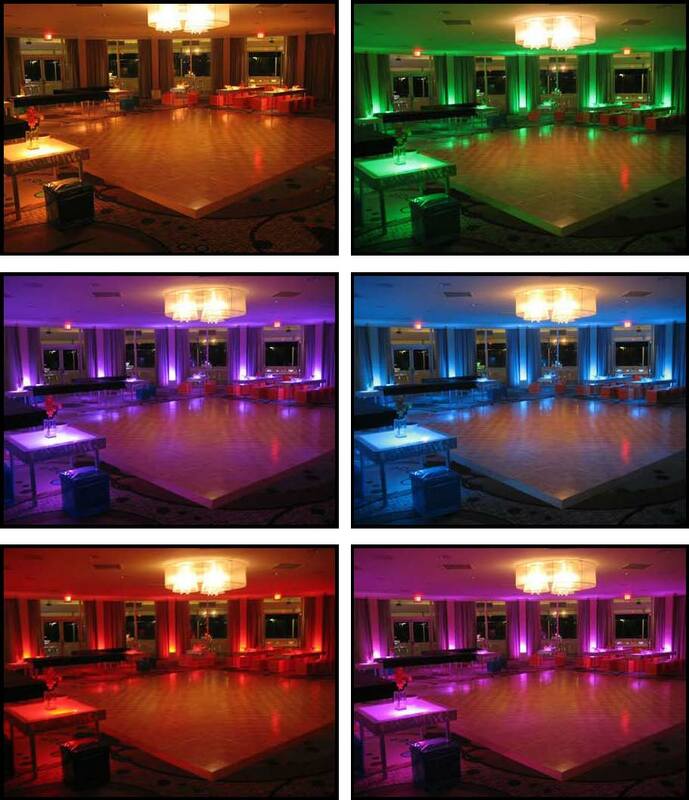 Our black buffet boom lights are typically used to light bartender work areas or highlight buffet food presentations. 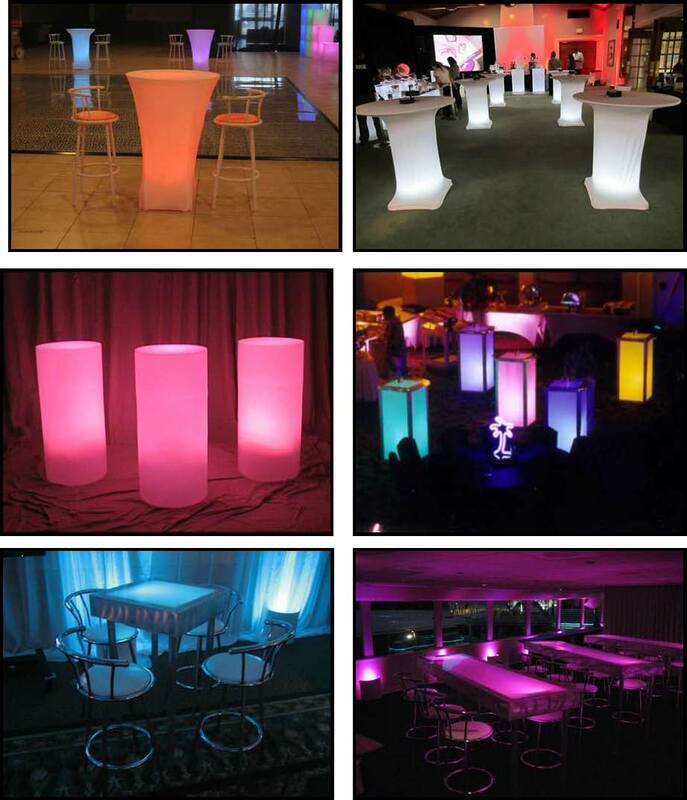 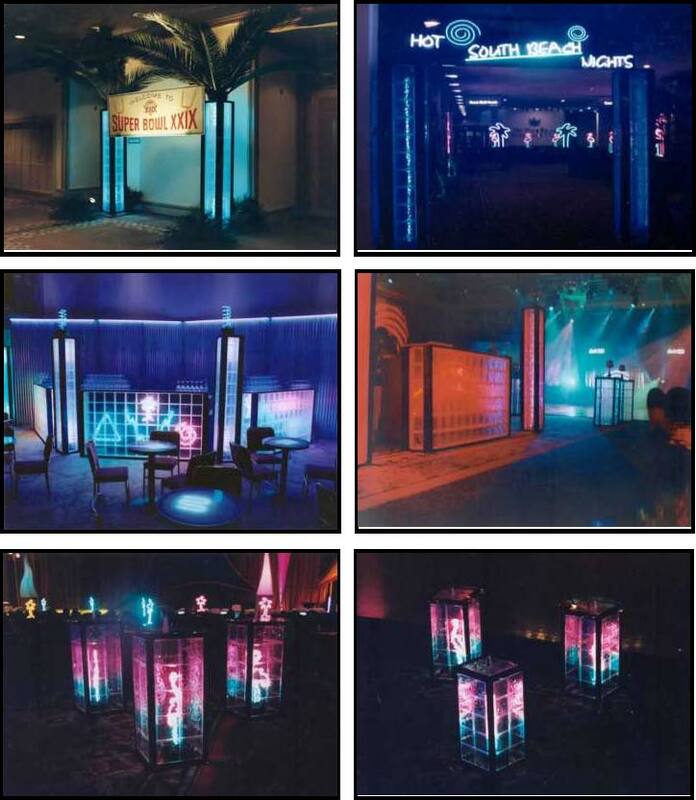 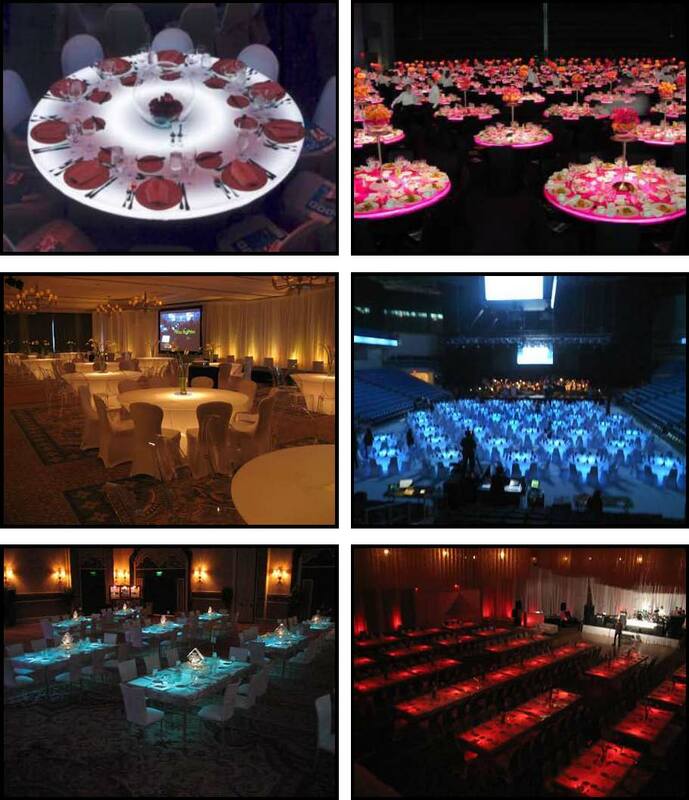 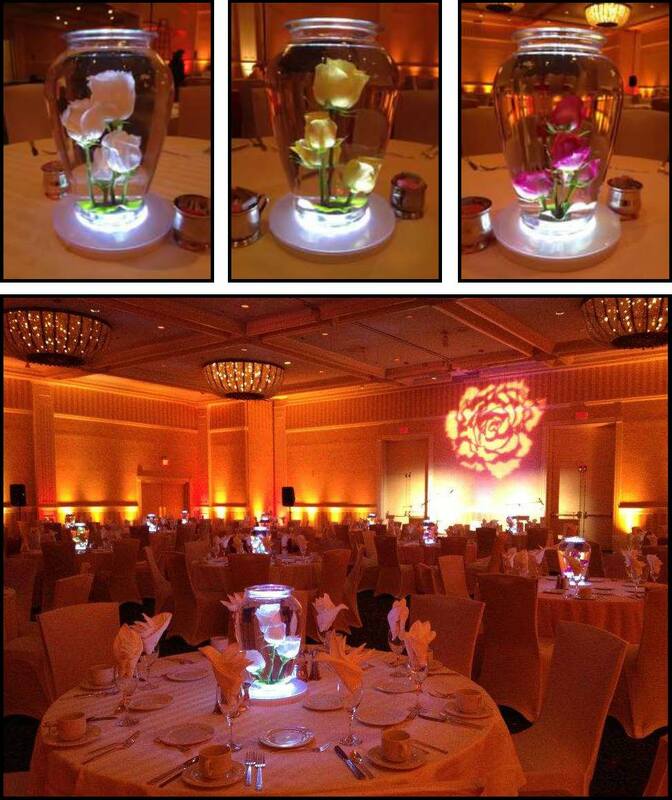 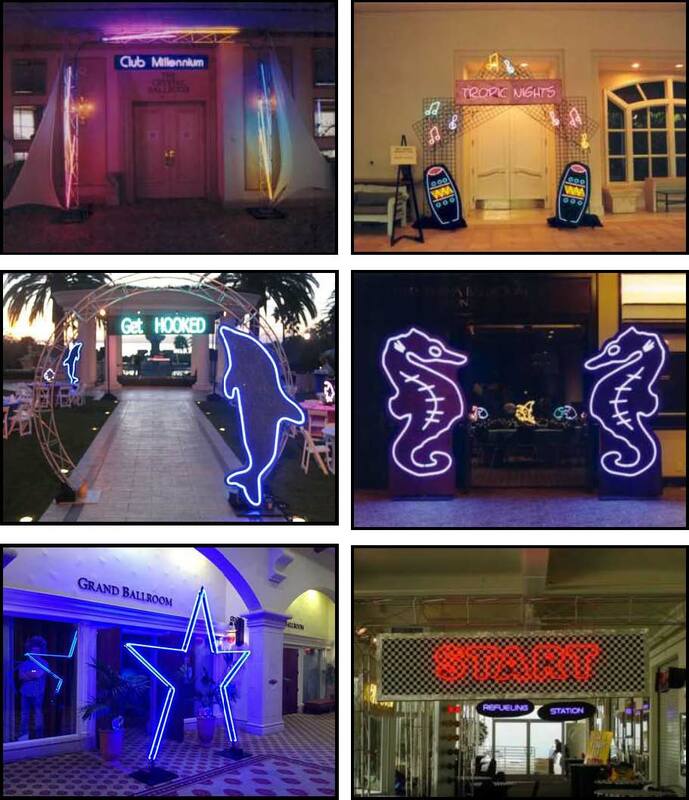 We have also used these fixtures to light blackjack, poker, craps, and roulette tables for casino areas. 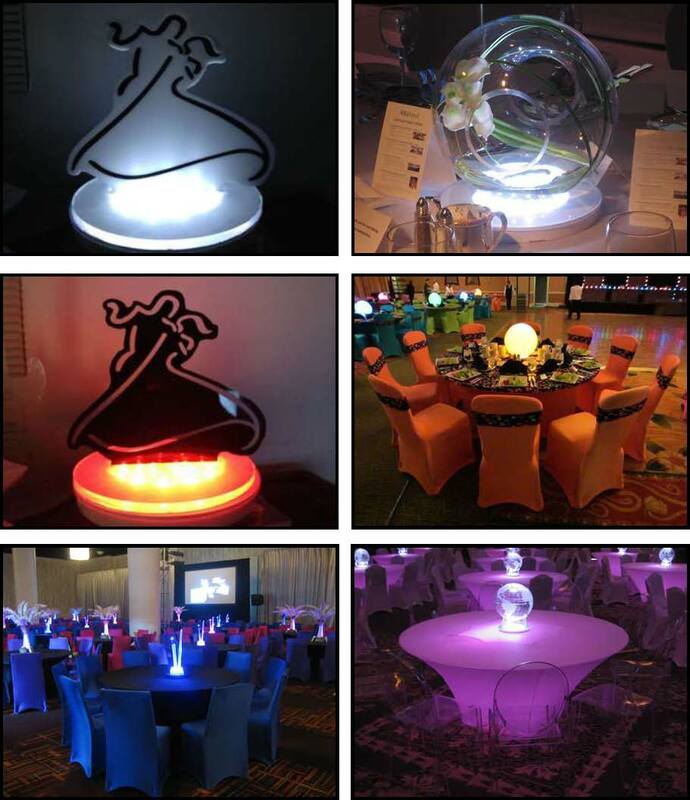 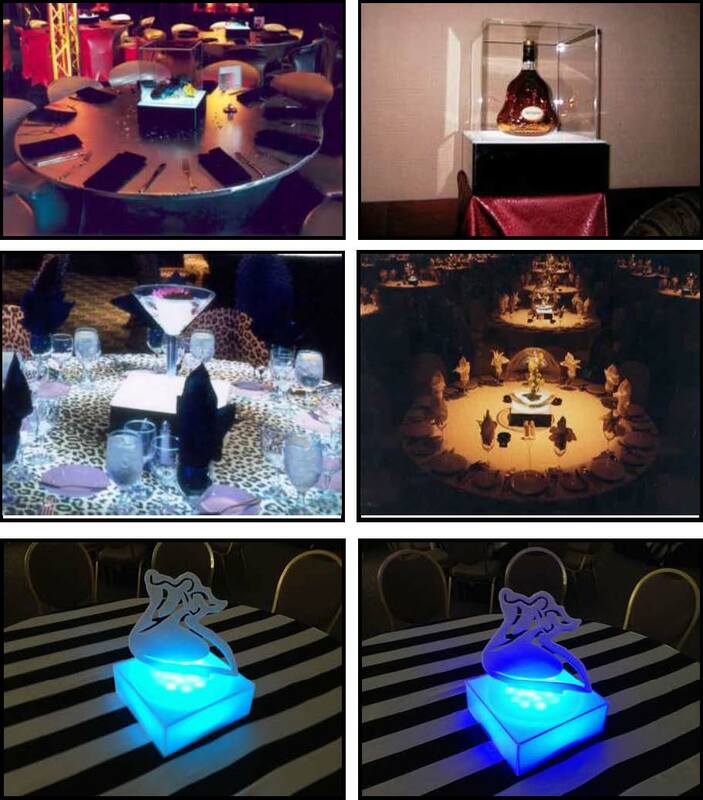 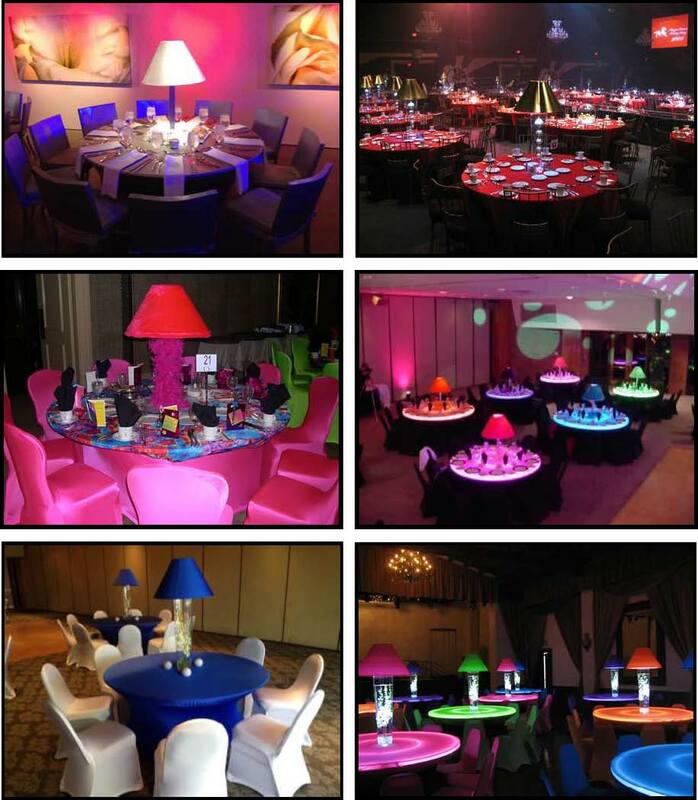 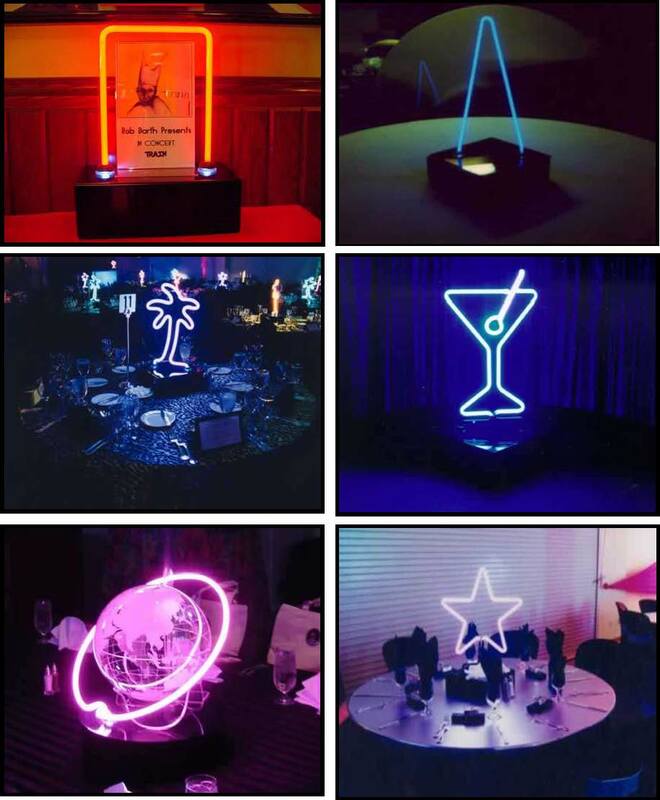 Also, these lights can be used to light auction table items.